Yesterday was so beautiful and we honestly can’t believe that it’s already Sunday! We hope you have had as much fun as we have for the past three days. It was beautiful seeing the wet and happy faces of our awesome guests. 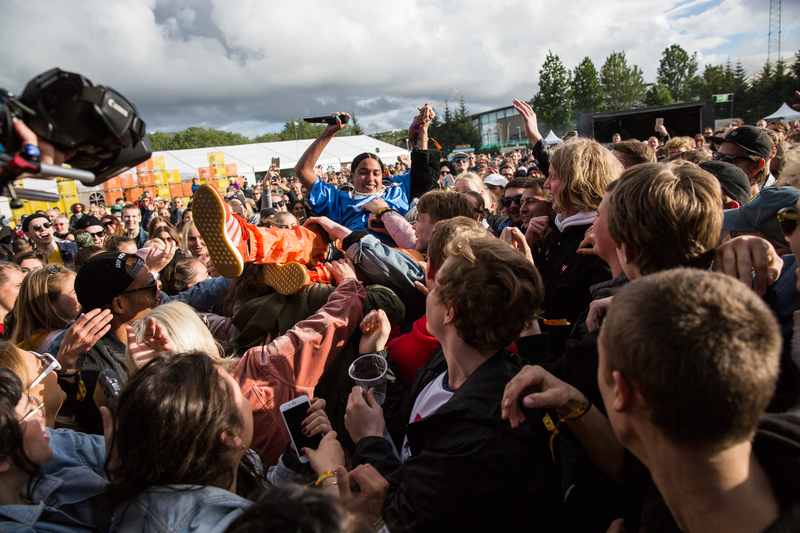 Reassuring us that no amount of rain can stop the fun at Secret Solstice. The British DJ Artwork dealt with the weather by inviting all of his dance-loving fans to join him on stage as you can see in the video below. The lucky guests at Gimli got to witness Princess Nokia crowd-surfing and the female rap duo Cyber rapping about “daddy issues” while the R&B band Rhye calmed down the crowd at Valhöll with a chilled set which sent everyone into the evening in a good mood. Foreign Beggars then tore the roof off of Valhöll and even brought with them the Icelandic rapper Alvia and the “fastest rapper in the world” Ocean Wisdom and the legendary Pharoah Monch who decided to lay down his hit song “Simon Says” which he wasn’t able to finish on Friday. In a truly once-in-a-lifetime experience, The Prodigy kept over ten thousand festival-guests dancing through the rain. Like true firestarters. Day 3 recap – Secret SolsticeCheck out how we celebrated Iceland’s Independence Day with our Secret Solstice Day 3 video recap! 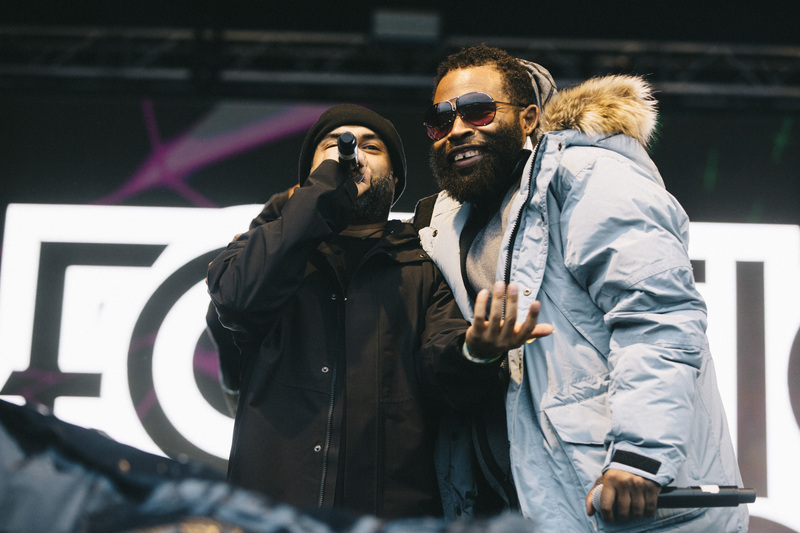 Massive performances from The Prodigy, Aron Can, Sturla Atlas, Artwork, and Foreign Beggars who brought out Pharoahe Monch, ALVIA, and Ocean Wisdom! Join us for our final day with some of hip hop’s heaviest hitters with Rick Ross, BIG SEAN, Anderson .Paak, Young M.A, GÍSLI PÁLMI GLACiER MAFiA, Emmsjé Gauti, and many more! But there is still one night left and we’ve definitely saved the best for last. Turn up to Valhöll for a night of remarkable night of hip-hop, Young M.A., Anderson .Paak, Big Sean and Rick Ross, in that order. When Rick Ross finishes his last hustle, make sure you run over to Hel to catch the last act of the festival Dubfire at 00:00. Thank you for everything and please enjoy yourselves tonight!